Fine Feather is a chain of dental clinics offering specialized treatment by experienced doctors in a controlled clinical environment. Our best in class infrastructure houses certified equipment and we ensure the highest standards of quality and hygiene at all our clinics. We offer the entire range of dental treatments and procedures at transparent and printed prices standards for all patients. All our doctors and staff members share our common motto of delivering only the best quality of treatment to all our patients. Our implacable hygiene is highly appreciated by our patients. We offer revolutionary ultra painless dental procedures using the STA Wand or other equivalent technologies. It is a highly sophisticated computer-aided device, which at the precision hand of our dental surgeons takes your in-clinic treatment experience to advance level of comfort. 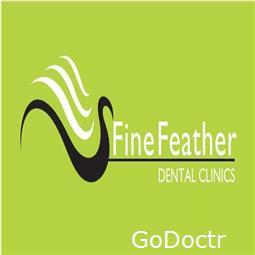 Root Canals procedures at Fine Feather Dental Clinics are performed only qualified and proficient specialist doctors. We use the Robotic “ZXII”, a hi-tech RCT surgery assist device that brings near 100% accuracy to all our root canal procedures. We also use Robotic root canal cleaning and preparing device (Endo motor with Apex Locator) to aid the manual judgement of the specialist. What’s more, with Endo ROBO and the ultra painless magical wand, we assure you of a comfortable and precise root canal procedure. This is where Fine Feather Dental goes the extra mile to ensure your safety and wellbeing. The X-ray units at all Fine Feather Dental Clinics have been approved by AERB (Atomic Energy Regulatory Board). 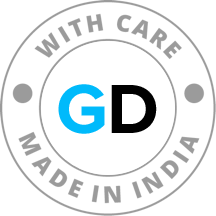 We use only Digital RVG (Radio Vision Graphy) and portable DC-X-Rays that ensure the best quality diagnostic images at the lowest and safest possible radiation exposure. The emission levels of our device are as much as 80% lower than a standard X-Ray, making them practically safe for use even for children. We implement four levels of infection control to eliminate any chances of cross contamination from patients to patients, doctor to patient and staff to patient. Compulsory use of disposable gloves, face-masks, suction tips, needle syringes, drapes, plastic barrier and disposable plastic glasses etc. on a single use basis.